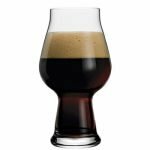 Stout vs Porter - What's the Difference & Should You Care? Stout vs porter is a popular topic among craft beer aficionados – the two styles are constantly compared and contrasted. Most often at the core of the juxtaposition is the attempt to understand the exact difference between them. Is it the mouthfeel, is it the flavor or perhaps the potency of each? Does the brewing method differ from one style to the other or maybe the exact ingredients? To establish any kind of difference between stout and porter it is important to understand their history and the very fluid and open to interpretation contemporary status each one occupies. A few points on which there seems to be universal agreement offer a good start and show how intertwined the stories of the two styles are. 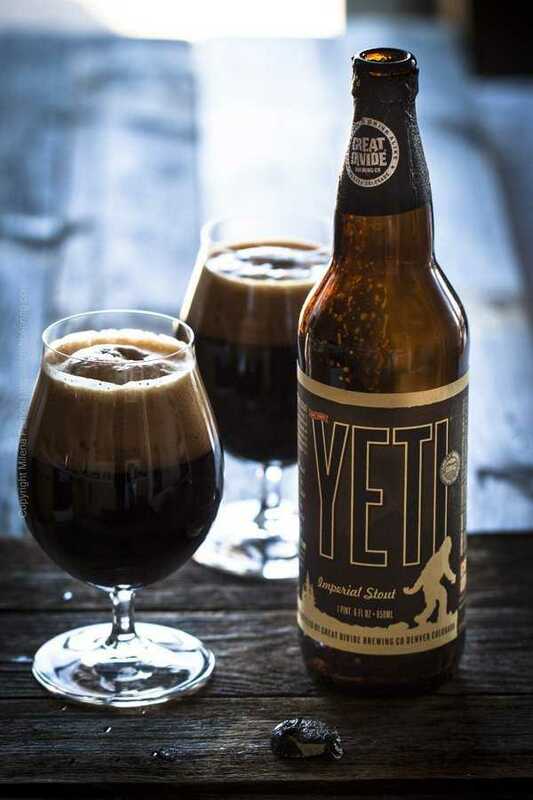 Stouts are frequently thought to have originated as stronger derivatives of porter but strong black beers were referred to as ‘stouts’ almost a century before porter was defined and named as a style (1720s). Both have their beginnings in London. The most specific difference between modern stout and porter is the type of dark grain used to make the wort. Modern stouts are brewed with roasted barley which lends them a coffee like aroma and flavor, while porters are brewed with black and/or chocolate malt, which naturally lends them a more mellow character, along the lines of soft mocha and milk chocolate. Roasted barley is made by roasting unmalted barley nearly to the point of combustion, in a manner similar to the French roast style for coffee beans. Black malt is made from pale malt roasted for 3-4 hours at 420–450 F.
Chocolate malt is also made by roasting malted barley but at temperatures not as high as black malt. Together they are known as the three basic roasted grains. Even so, there are plenty of stouts that do not use roasted barley in favor of a roasted malt. There are also porters where a tiny percentage of the grain bill is roasted barley. So saying that in general stouts are more bitter (not necessarily due to hopping) and porters milder and sweeter can also fail as a reliable distinction. the difference between porter and stout is very, very elusive and highly subjective. On top of that there are so many types (sub-styles) to address. Even the definitions of those fail to outline a firm distinction. So how can you capture what escapes definition? And if a distinction is so hard to pinpoint when it comes to stout vs porter, why are they even regarded as different beers? A look at their common origins and contemporary sub-styles can help draw your own conclusions. Porter was the style that first established itself as such and proceeded to become the first industrialized beer owing to its enormous popularity in eighteenth century London. The first porters of the early 1700s were nothing like the ones brewed today. They started as hopped brown ales first brewed with brown malt the derivation process of which is not too well documented. Today it is suspected that some pale malt had to have been included in the grist from the very beginning and indeed this was true and documented for later versions. Porter was matured in casks for several months where it mellowed and developed flavors. Originally parts matured brown ale were mixed with ‘young’ brown ale and porter came about as an ‘entire’ beer. Such was the demand for it that the first mega casks were built to age it. The first porter brewed outside of London was in 1758 (in Sheffield, England) and a year later Guinness of Ireland joined the party and brewed its own version. Porter also got its official name before stout. Mostly everyone who has taken interest in the style has read that it’s namesake were the porters engaged in transporting a variety of loads from the docks of the Port of London on the Themes river to various locations within the city. The loads porters moved included casks of the beloved brown ale and sometimes they stole a taste of it by inserting a straw in the cask. Using sailor’s talk they referred to the sneak beer tasting as ‘sucking the monkey’. Porter was also the beer of choice for many other workers. Stronger porter was referred to as ‘stout porter’ (as opposed to ‘stout pale’ as strong pale ales were dubbed). 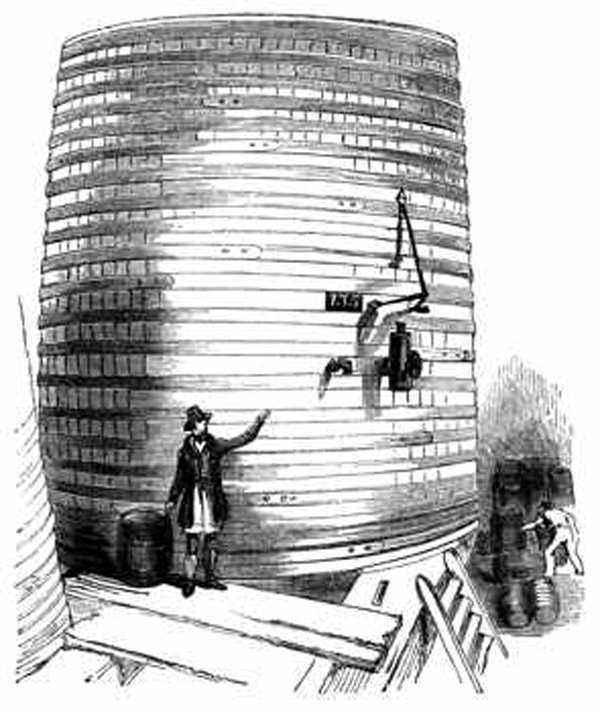 Originally, the grain bill was exactly the same as that for porter and less water was added to achieve a higher gravity, i.e. stronger beer. The recipes for stout and porter only began to diverge in the second half of the nineteenth century. English brewers started to produce sweeter and sweeter stouts by increasing the proportion of brown malt and reducing that of roasted malt. Stouts became sweeter than porter (in line with consumer preferences at the time) and were often not matured and called ‘milds’. This trend culminated in the addition of lactose unfermentable sugars to the wort – the first milk stouts. Stouts also began to be brewed in various strengths – single, double, imperial and Russian export. Not all brewers made the full range of stouts and often times different strengths were blended. Eventually stout grew in popularity to such an extent that it overshadowed porter. As Irish brewers began to perform a variety of steps in the brewing process differently than the English the styles diverged even more. The joint history of porter and stout becomes very intricate into the nineteenth century with Irish and American brewers playing key roles and various events impacting the grain bill such availability of malts and overall consumer preferences. At a certain point porter almost went extinct if not for the American brewers who kept the style alive. Fast forward to modern times and as part of the craft beer revolution both styles have exploded in popularity and have so many interpretations that any attempt to draw a clean distinction is futile. 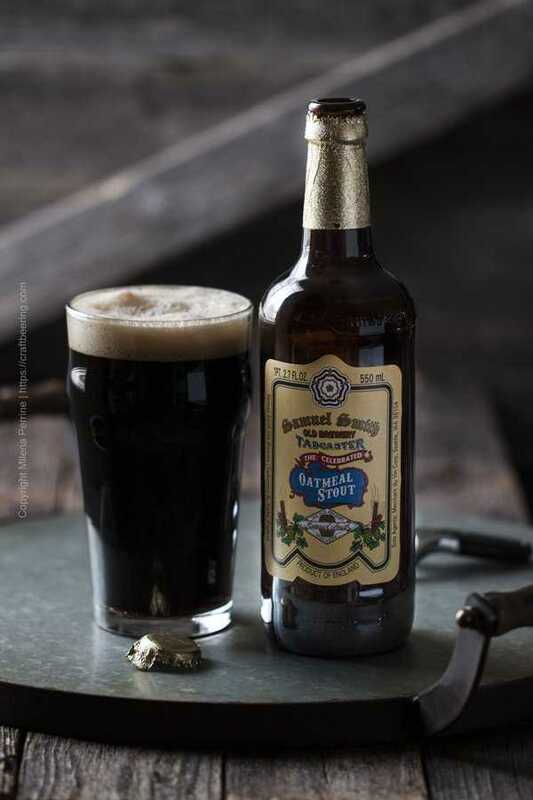 TIP: If you are looking for a comprehensive history of porter and stout, the best one we have come across is the work of Terry Foster called Brewing Porters & Stouts: Origins, History and 60 Recipes for Brewing Them at Home Today. Terry Foster is also the author of Porter (Classic Beer Styles Series). By contemporary standards a porter is a dark brown ale brewed with dark or chocolate malt (but sometimes brown malt, roasted barley and/or specialty malts) as part of the grain bill. It usually has low to no hop aroma and is dominated by a roasty maltiness. Depending on who does the classification, the main types or sub-styles of porter are defined differently. We have reconciled the types in the list below based on the two most credible US modern sources of categorization – the Beer Judge Certification Program guidelines and the style descriptions of the Great American Beer Festival. Keep in mind that almost anything goes and porter often dips into stout territory. Brown color (light to dark) and good clarity. Restrained roasty character and bitterness, often with pronounced chocolate-caramel-malty profile, dark-roasted malt, less hoppy, softer and sweeter than American porter. Often made with brown malt. This type of porter has medium-light to medium body, moderate level of carbonation and moderate creamy texture. In Britain the name is simply porter. 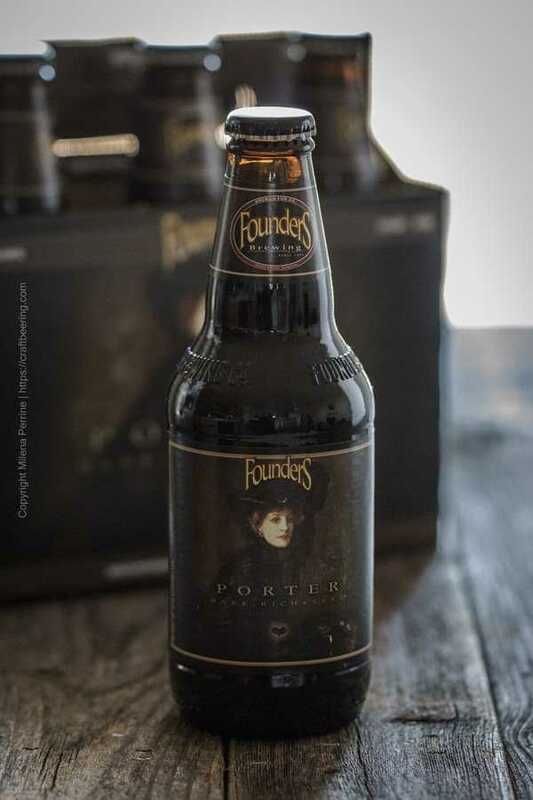 Founders porter is an example of a robust porter. Darker shades of brown, approaching black on occasion. Stronger than the English porters, with sharper and more robust dark malt character. Hop aroma is stronger and sometimes this type of porter is dry-hopped. Moderately sweet and frequently with a dry finish. A few Pre-prohibition American porter adaptations (Historical porter type) are still brewed today, such as Yuengling porter. These tend to be dark and relatively clear with low hop aroma and have base malt flavor, hints of chocolate and caramel, toast notes a slight astringency. Baltic porters are actually lagers with mild roasty flavor reminiscent of cafe au lait and strong malty sweetness like bocks. Even though they are not top fermented they have many of the characteristics of the London brown ales that became porter. They originated in the Baltic states and were also influenced by the Russian stouts – high OG and ABV. They are very smooth. Polygamy nitro porter is a creamier version of the original Wasatch Brewery Polygamy Brown Porter. 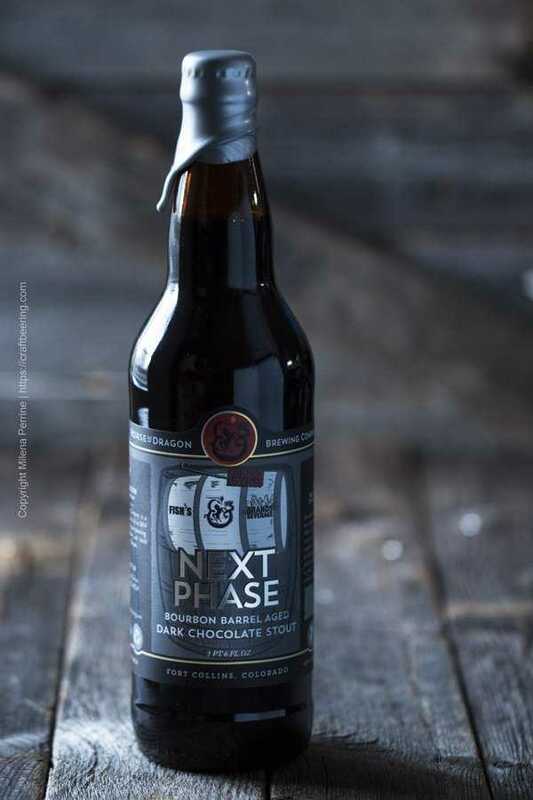 Smooth, chocolaty and easy to drink. Modern porters boast all kinds of flavor centered interventions. Although not official styles, these are popular and deserve being noted. Flavor is achieved via barrel ageing and/or adjuncts using a base style from the ones identified above. Vanilla, chocolate, caramel and coconut porters are common. Sometimes actual coffee beans are added – makes for an interesting comparison with beers brewed with roasted barley. Nitro porters have a luxurious thick mouthfeel owing to the nitrogen used to carbonate them – nitrogen does not dissolve in liquid and helps create the perception of creaminess. 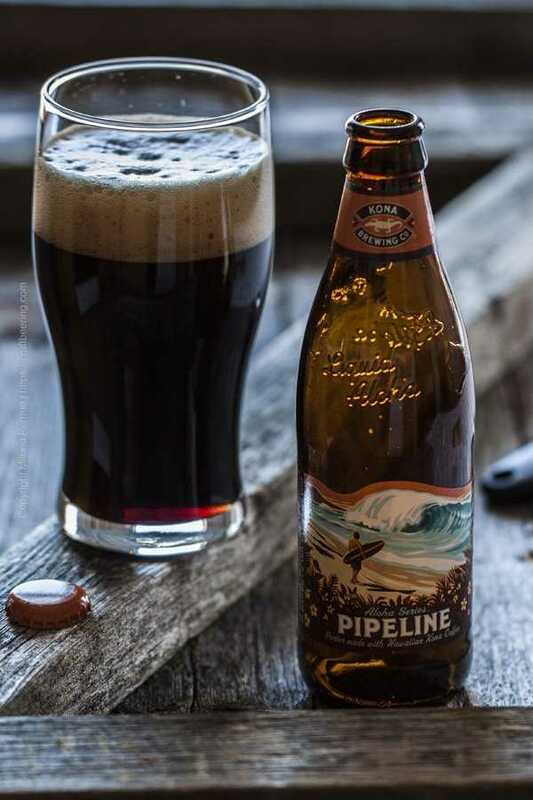 Kona Brewing Pipeline porter brewed with Hawaiian Kona coffee. Try these beers as good style representatives: Fuller’s London Porter, Samuel Smith’s Taddy Porter, Founders Porter, Deschutes Black Butte Porter, Polygamy Porter and Polygamy Nitro Poter, Baltika #6 Porter, Devils Backbone Danzig, Flying Dog Bourbon Barrel Aged Gonzo. Stouts are a family of dark beers with a shared deep, roasty character. Even though they started as strong versions of porter they have evolved significantly over the years and many contemporary stouts are at par with most porters as far as strength goes. On average they are more aggressively hopped than porters and are bittersweet with strong coffee notes. We’ve organized the types of stouts list below based on the most common classification criteria – just as we did with the porters above. If you are looking for more granular detail be sure to consult the sources identified in the relevant section at the end of this post. A very dark, sweet, full-bodied, slightly roasty ale that can suggest coffee-and-cream, or sweetened espresso. It was commonly sweetened with unfermentable lactose and the term Milk Stout was often used. Nowadays milk stouts pass as a distinct type of stout and are frequently nitrogenized. Generally bigger, stronger, more roast-forward, and more hop-centric than their Old World counterparts. Black in color and opaque. The mouthfeel is medium to full-body and the same qualifiers apply to their carbonation. Highly-roasted flavor with dark chocolate notes and burnt caramel, mild sweetness. They emerged as a modern day craft beer style that made use of an aggressive American hoping regime to a strong traditional English or Irish stout. Irish stouts are black – characterized by their use of roasted barley which gives them a pronounced coffee flavor. They are balanced to fairly bitter and quite dry but their nitro versions feel creamy. Flavor wise they display medium roasted grain or malt flavor and a medium- high hop bitterness Modern Irish stouts are no longer stronger than porters and many pale ales, which is why they can float on top in layered drinks such as Black and Tan and Black Velvet. These three types of stout are distinguished by their overall greater strength. They are black, opaque with strong roasty notes. Coffee, dark chocolate and burnt caramel are characteristic flavors for the Irish and Foreign sub-styles. Hop bitterness is medium high with the Irish Extra and not very noticeable in the British versions. The Tropical stouts are fruitier and sweeter and lack the harsh burnt notes of the other two types. They started being brewed domestically in Britain and Ireland as luxury strong stouts and were frequently exported to the farthest parts of the then vast British Empire. They were especially well-loved in the tropics – from Jamaica to Nigeria and Singapore. Samuel Smith oatmeal stout – silky and smooth with dry, bittersweet finish. These stouts are like a blend of Irish Extra Stout and a Sweet Stout with (significant amount) oatmeal added. They became popular in the second half of the twentieth century and are characterized by a rich creaminess accompanied by hints of nuttiness from the oatmeal or malted oatmeal added. They are dark brown to black, sometimes fairly sweet but can also be quite dry. The mouthfeel is smooth and silky. The American versions tend to be more hoppy. The boldest, strongest stout with the most assertive roasted and hoppy notes. Very dark brown color to jet black. Complex fruity esters are sometimes present. More aggressively hopped than any other type of stout. The flavor is intensely complex – coffee, dark chocolate, dark fruit, burnt grain. Their malt backbone can be balanced and supportive to rich and barleywine-like. The name Imperial comes from the popularity of the style in the Russian Imperial Court. The demand for stronger stouts shaped the style – both the high gravity and liberal hopping ensured easier transportation without spoilage from Britain to St. Petersburg. Great example of the types of stouts discussed above are: Sam Adams Cream Stout, Left Hand Milk Stout, Avery Out of Bounds Stout, Deschutes Obsidian Stout, Guinness Draft, Murphy’s Irish Stout, D&G Dragon Stout, Guinness Foreign Extra Stout, Jamaican Stout, Rogue Ale Shakespeare Oatmeal Stout, Firestone Walker Velvet Merlin, North Coast Old Rasputin Imperial Stout, Sierra Nevada Narwhal Imperial Stout, Three Floyds Dark Lord. Descriptions of the modern beer styles are based mainly on the official BJCP Beer Style Guidelines and partially on the GABF Competition Styles. We also include observations from our own tasting and home brewing experiences. All grain English style brown porter. Adapted from the BYO Standard Porter recipe. Perform a single-step infusion mash at 153°F for 60 to 90 mins. Sparge one hour, with water up to 175 F. Target run-off SG 1.010–1.012. Boil for 90 minutes. Add hops per schedule. Adjust wort volume as needed with cold water then chill to 70 F. Pitch yeast. Place in a 70°F fermentation chamber for 5 to 7 days until FG is reached. Rack into secondary. After 7-10 days rack the beer and keg or bottle. If bottling, add priming sugar accordingly. I really enjoyed reading this – I had never really thought about how they were different before. I mean, when you drink them, you inherently know they’re different, but never really put a thought to it. I love porters and stouts, but only in the winter. The summers here are so hot that it just doesn’t mesh well with the heat. Except for Guinness, which is just so mild, I’ll drink it year round. And those porter mushrooms are on my hit list! Yes, we can definitely identify with how hot weather can impact preferences for beer styles. But a good brown porter is always in season for us:) Thank you for stopping by! I’m so ignorant when it comes to beer so I love learning from you! And I’m thinking that I’m going to make your double stout ice cream and stout brownies soon so I can do a beer-y brownie sundae. I can almost taste it already!